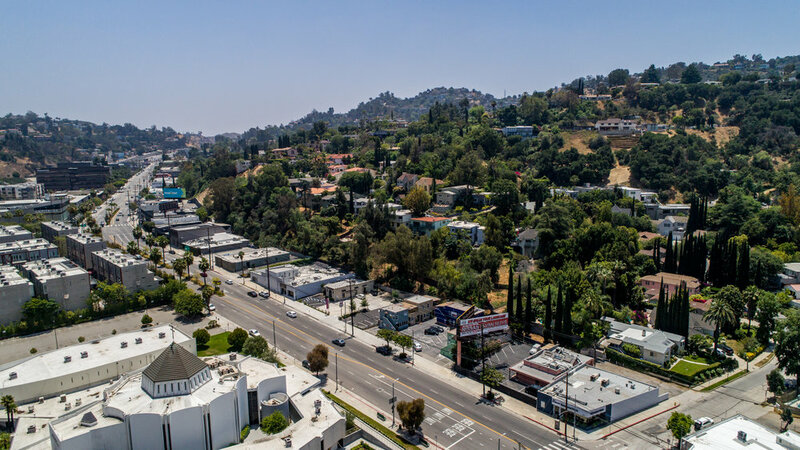 This Mid Century designed, boutique flex building is located in the Hollywood Hills/Cahuenga Pass submarket of Hollywood along the 101 freeway. Floor to Ceiling windows, rear ramp ability and retail/industrial mix use. Near some of the largest Hollywood studios for television and movie production, it boasts perfect single user option for metropolitan access. Close to highways, transit to downtown, central and beach cities. Seven on site parking spaces. The Property consists of approximately 4,679 square feet of C2 zoned land.